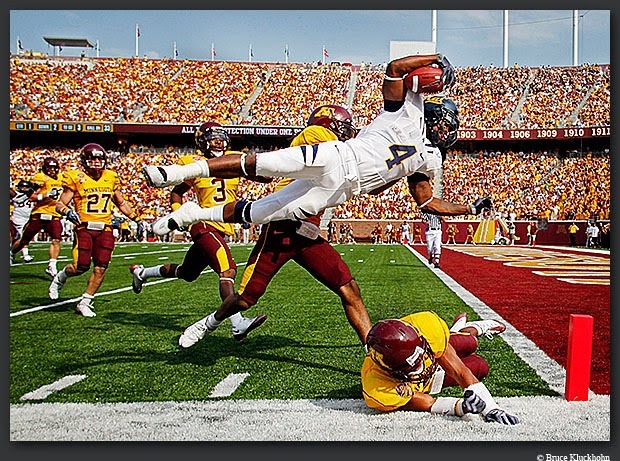 The Football Earned Run Average is real football analysis of pro football statistics, scores, and handicapping. This special algorithm measures a teams performance at the LINE OF SCRIMMAGE as best as can be done after film analysis with a comprehensive statistical analysis of a team's performance. The Patriots’ search for wide receiver help continued throughout last season. But they tried to make a sizable splash to address the problem. 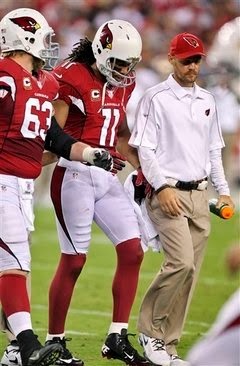 According to Tom Curran of CSNNE.com, the Patriots “sent out feelers“ to the Cardinals last year to see if Larry Fitzgerald happened to be available available. There’s no indication the inquiry was viewed as serious, or progressed very far. Fitzgerald is 30, and will count $18 million against the salary cap, so it might be worth calling back. The Patriots got a good year out of Julian Edelman, but the need for a big-time target for Tom Brady remains. Of course, the Cardinals showed a pulse this year under new coach Bruce Arians, just missing the playoffs at 10-6, so dealing a key part might not be anything they’d consider at all. 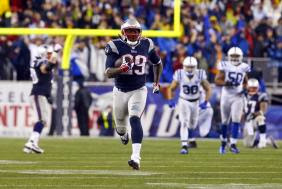 At any rate, the fact the speculation had some legs last offseason will make it a topic until the Patriots make a move at the position. For the first time all Super Bowl week — and surely not the last time — Broncos quarterback Peyton Manning was asked Sunday about his future beyond the upcoming NFL title game against the Seahawks. 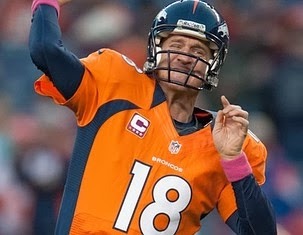 Manning smiled as he was asked if he had considered whether Super Bowl XLVIII could be the end of the line for him — and whether a victory would be an ideal way to go out on top. “Well, I know there’s a number of players that have walked away as champions, and I’m sure that’s a great feeling for those people. John Elway, Ray Lewis did it last year, Michael Strahan. 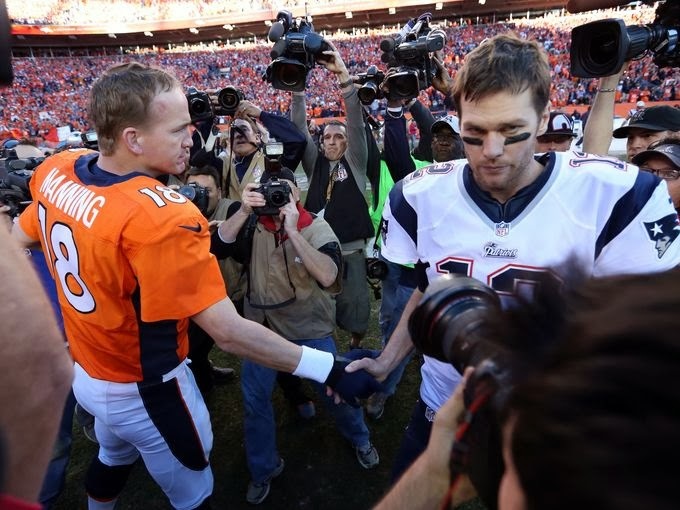 “In talking to Ray Lewis and in talking to John Elway, they couldn’t play anymore. That was all they had to give. They truly left it all out there. “I certainly had a career change two years ago with my injury, with changing teams, and so I truly have been kind of a one-year-at-a-time basis. So I really have no plans beyond this game, had no plans coming into this season beyond this year. I think that’s the healthy way to approach kind of your career at this stage. “I still enjoy playing football. I feel a little better than I thought I would at this point coming off that surgery. I still enjoy the preparation part of it, the work part of it. 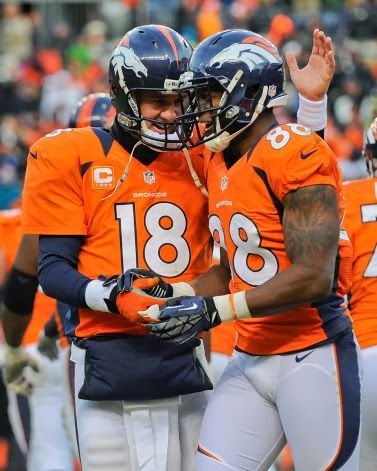 Everybody enjoys the games, everybody’s going to be excited to play in a Super Bowl, but I think when you still enjoy the preparation and the work part of it, I think you probably still ought to be doing that. Seahawks cornerback Richard Sherman’s interview immediately after the end of the NFC Championship Game has been a talking point well beyond the usual football outlets this week. 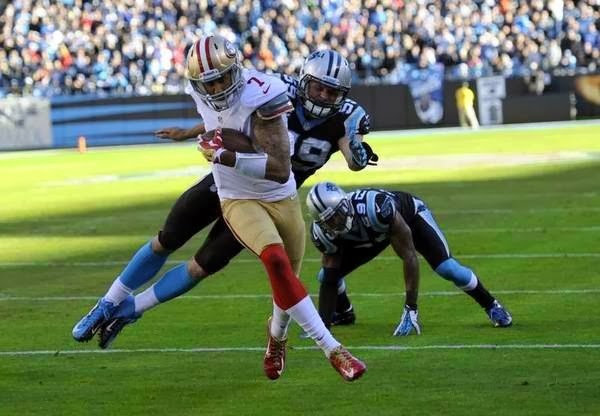 Meanwhile, his actions immediately after the final 49ers offensive play of the game has drawn a fine for the league. 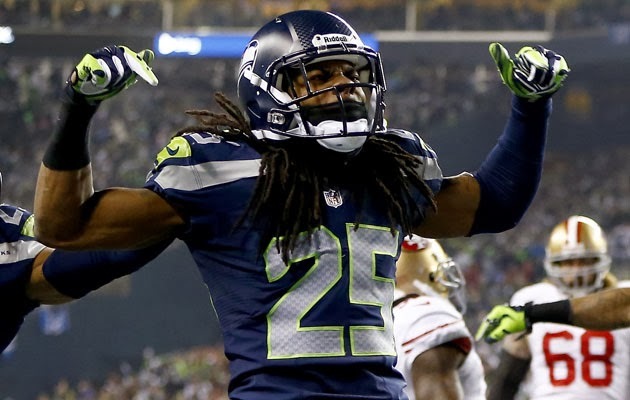 The league has confirmed with PFT that Sherman was fined $7,875 for taunting and unsportsmanlike conduct. Sherman knocked away a pass intended for 49ers wide receiver Michael Crabtree in the end zone with seconds to play in the fourth quarter and the ball wound up in the hands of Seahawks linebacker Malcolm Smith. After the play, Sherman left his celebrating teammates, approached Crabtree and drew a flag for taunting. Sherman, as captured by NFL Films, stuck out his hand and said “helluva game, helluva game” to Crabtree, who responded by shoving Sherman in the facemask. Crabtree was not fined. The two players reportedly have had disagreements in the past and they’ll get a chance to renew acquaintances at least twice next season. The anticipated addition of Romeo Crennel to the Texans’ coaching staff is now official. According to Jason LaCanfora of CBSSports.com, Crennel has agreed to a three-year contract to become the Texans’ defensive coordinator. He has shared background with new coach Bill O’Brien from their days in New England (though they didn’t work together there), and his addition won’t require them to change much of their existing 3-4 alignment. 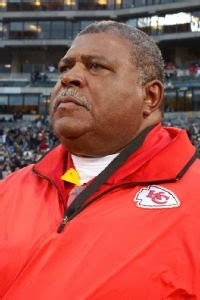 Crennel was out of football last year, cashing checks from the Chiefs after being fired after the 2012 season. The 66-year-old assistant will also have a familiar face with him, as former Patriots linebacker Mike Vrabel is coming on board as linebackers coach. Former Lions running back Jahvid Best is reportedly giving coaching a shot. Via CollegeFootballTalk, Best will be joining California’s coaching staff and attending classes at the school in 2014, according to GoldenBearReport.com. According to GoldenBearReport.com, Best will “likely be used in a student assistant role” on the Cal staff. Concussions altered the course of Best’s NFL career. He has not played in an NFL game since October 16, 2011, six days after a splendid performance in a win vs. Chicago on “Monday Night Football.” After missing the rest of the 2011 season, Best wasn’t cleared to return in 2012, and the Lions released him in July. The 24-year-old Best played at Cal from 2007 through 2009 before declaring for the 2010 NFL Draft. He was a first-round pick of the Lions. 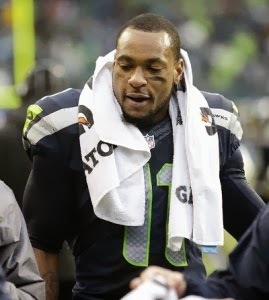 Percy Harvin will not play in the NFC Championship Game. Seahawks coach Pete Carroll confirmed that Harvin is out on Sunday against the 49ers after suffering a concussion last week against the Saints. The announcement comes as no surprise: Harvin had missed practice all week, and from all indications he wasn’t going to be able to make it through the NFL’s concussion protocol. The Seahawks traded first-, third- and seventh-round draft picks to the Vikings to acquire Harvin in March, and they signed him to a six-year, $67 million contract. But Harvin managed to play in just one regular season game and one postseason game, and he came out of both of those games with injuries. It’s still possible that Harvin could help the Seahawks win the Super Bowl, and Carroll said he expects Harvin to practice next week — which assumes that the Seahawks will have a next week. 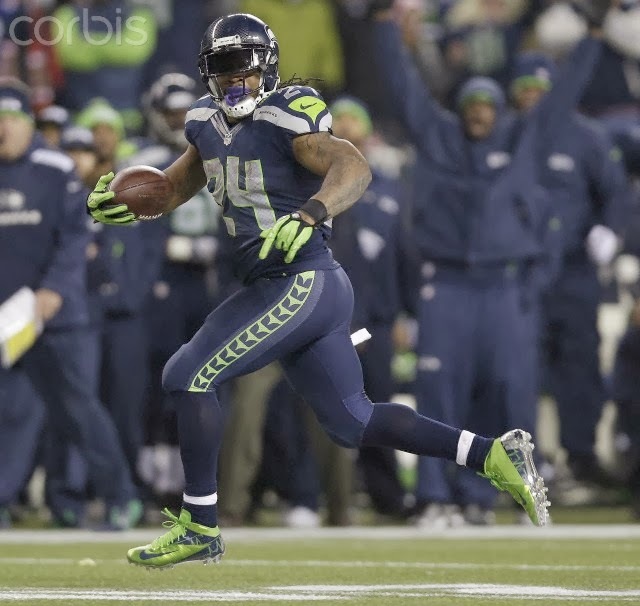 But this week, Harvin is out. 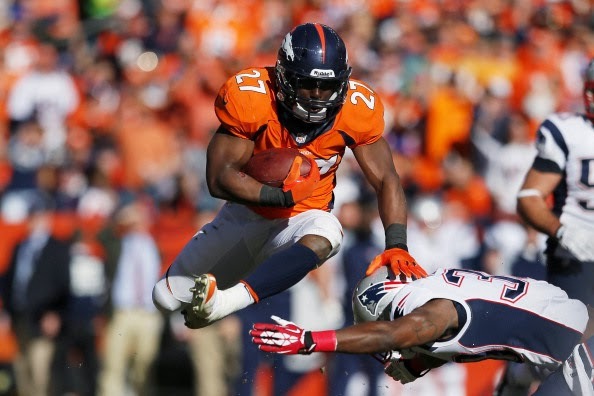 The Football Earned Run Average is real football analysis of pro football statistics, scores, and handicapping. The formula has been developed over a dozen or so years of crunching numbers while fine-tuning & tweaking a statistical analysis of games and team performances. This special algorithm measures a teams performance at the LINE OF SCRIMMAGE (as best can be done in conjunction with film analysis) with a statistical analysis of a team's performance. It measures a team's offensive line and defensive front's effect on overall team performance by analyzing its Rushing and Ball Control performance as well as the amount and effect of Defensive pressure (sacks, hurries, pass defense...) on the results of the game. The formula inputs Rushing statistics such as attempts and yardage averages, rushing first downs and td's into an algorithm that also calculates the defense's performance on the opponents Rushing performance as well. It also looks at other Ball Control elements such as third down conversion and drive length as well as number of drives. In addition, it calculates a result that incorporates defensive pressure including QB hurries and sacks as well as pass defense statistics.